Are you new in Alteryx or do you just need some inspiration on how to build a cool workflow?In this blog post I will recommend some different resources that can be useful and inspirational when using Alteryx. With the vast possibilities of the program there will often be many ways to solve a problem or build a workflow.The Alteryx community can be a great place to start when you need inspiration or answers to any kind of trouble in Alteryx. Here you can find posts about solutions to different problems that other users have experienced or you can make your own post on a problem you have faced in Alteryx. 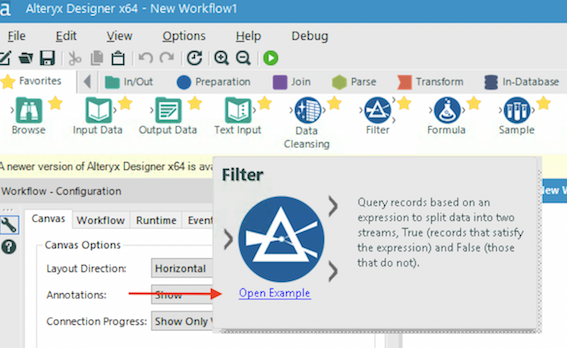 The Alteryx blog is also really great to get tips and tricks. Here you can find news about Alteryx events, the community and much more. Do you want to test your Alteryx skills? Then you should try Alteryx's weekly challenges. Each week Alteryx posts a use case where you can challenge your skills in the program. The weekly challenges is for everyone and you can find challenges for beginners, intermediate and advanced users. The Alteryx bible? Alteryx have made a book with their own and the community's best tips and tricks on how to use Alteryx. The book covers tips and tricks for some of the most used tools. Another way to get an inside in the Alteryx world is by reading blogs.The Information Lab have made one, where they post some great articles about Alteryx. You can also go follow Alteryx on Twitter to get the latest news.